Take a look back at all the reality TV stars who wed in 2016 -- including Nikki Ferrell, Witney Carson, Colton Dixon, Mark Ballas, Audrina Patridge, Bob Guiney, Jinger Duggar, Reed Robertson, Maci Bookout, RaeLynn, Kym Johnson, Jade Roper, and Tanner Tolbert. American Idol host Ryan Seacrest signed off from Idol for the last time on Thursday night after helming a massive alumni reunion on the reality competition's "farewell" finale. Phillip Phillips has joined the lineup of performers on American Idol's fifteenth-season finale. American Idol's farewell season will go out with a big bang, paying tribute to 15 seasons on the air and everyone who has been affected by the long-running reality singing competition. 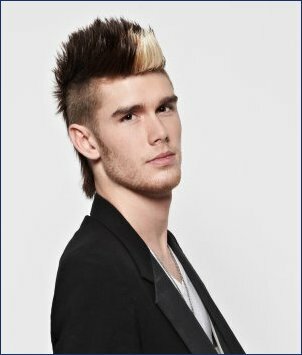 American Idol's Season 11 finalist Colton Dixon has tied the knot with fiancee Annie Coggeshall. American Idol's Jessice Meuse talks about how different it was for her to perform on the big stage versus in bars and clubs at home, what she insists she must be able to do on the tour, which contestant she'd love to collaborate with, and how it feels to have her original song become a hit. Angela "Angie" Miller talks about the best advice she received from the judges, whom her musical inspirations are, and what went through her mind right when she got eliminated from American Idol. American Idol featured standout performances from four of the 10 female semifinalists during Tuesday night's live Fox broadcast of the twelfth season's Top 10 girls semifinals performance show. Watch Angela Miller's memorable performance of her original song "You Set Me Free" on American Idol, or check out unbroadcast videos of her performing three additional songs. American Idol producer Nigel Lythgoe talks about the upcoming season -- including whether he says hip-hop will become a more prominent genre on the show considering rapper Nicki Minaj is a new judge.